Being a basically symmetrical person. I like this sketch, although I don't think I ever made a card like it before! 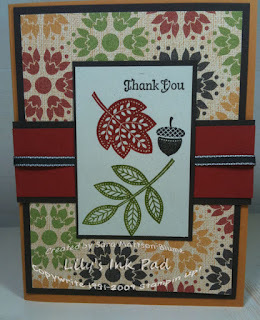 Thanks to Paula at Stampin' Addicts for the Sketch Challenge! 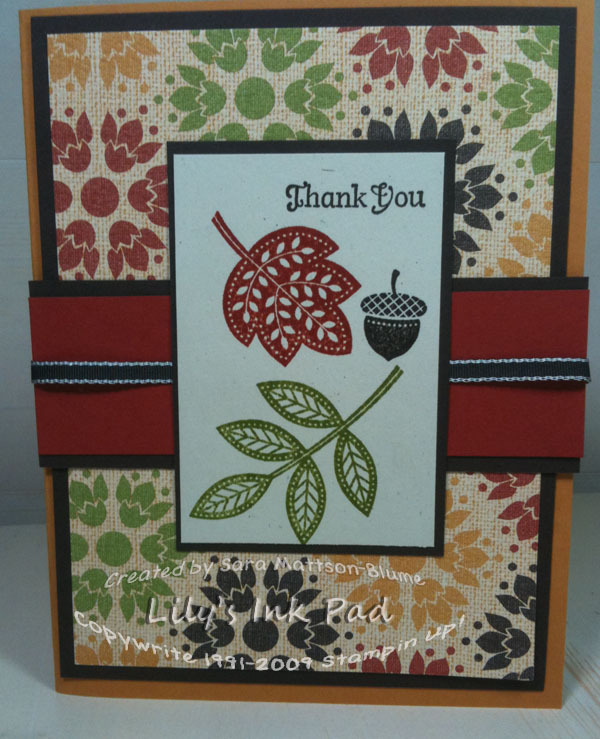 For my customers, we are making this card Saturday, Sept 25th in Neenah at the Have a Ball in Fall Stamp Camp. Choose to start at 10 or 2, pay $15, and make 6 great projects. If you are nearer Shawano, we will make the same projects starting at 6 on September 23rd. Sign up now to reserve your spot! Great card - love the colors!! You are rocking this set girl! Great card! Love the fall colors and he card .... I beginning to regret not getting this set. This is great. I love the little ribbon as an extra touch! Love the colors, love the paper, LOVE the stamps!